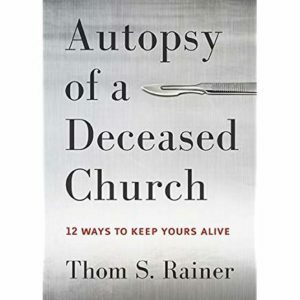 A friend recently lent me a fascinating and reader-friendly book entitled Autopsy of a Deceased Church: 12 Ways to Keep Yours Alive by Thom S. Rainer. Without her recommendation, I would never have picked up this book because the title clearly emphasizes churches that die out. She advised focusing on the subtitle, which, of course, is the opposite emphasis—how to prevent the dieout. 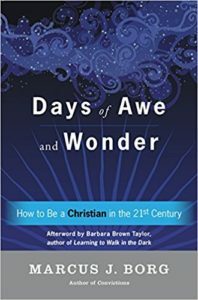 This 2014 book, by the president and CEO of LifeWay Christian Resources, grew out of a desire to understand why so many churches that were once vibrant congregations have in recent years seriously declined and ultimately closed their doors and sold off their properties. Whether your church is seeing a decline in its numbers of worshippers as the Sundays go by, or is still in the upswing of its church life cycle, this is a book that offers valuable insight into what keeps a church alive. Even though the choir and music ministers are still working hard and serving up beautiful music, even though the pastor still works hard on his/her sermon each week, there may be shifts occurring that don’t bode well for the future. That’s a lot of decline, but the problem is that each shift may be subtle and quite easy to overlook, even when it’s building on previous overlooked changes. Two fundamentals of critical importance are meaningful prayer (both individual and corporate), and actively caring for the surrounding community. No matter whether the church is on the upswing or the downswing, these two fundamentals make all the difference in whether the church is Christ-centered, likely to remain strong, and able to continue long-term to provide a healthy place of worship. A wonderful little book entitled Really Important Stuff My Dog Has Taught Me, by Cynthia L. Copeland, was among the last gifts I had given to my partner before her passing. 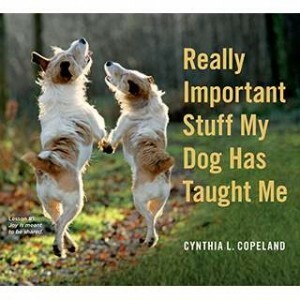 The book is full of great photography featuring dogs, along with stories and bits of wisdom. In reading through the book on Christmas Day, I came to this piece of instruction for life: “Keep going until you find your way home.” The story with the adage is about Mason, a terrier who found his way home despite two broken legs after a tornado hit his family’s home and carried him away. Maybe getting carried off by a tornado isn’t so much different from finding yourself in grief or sudden loss. Like Mason, I am trying to find my way home. 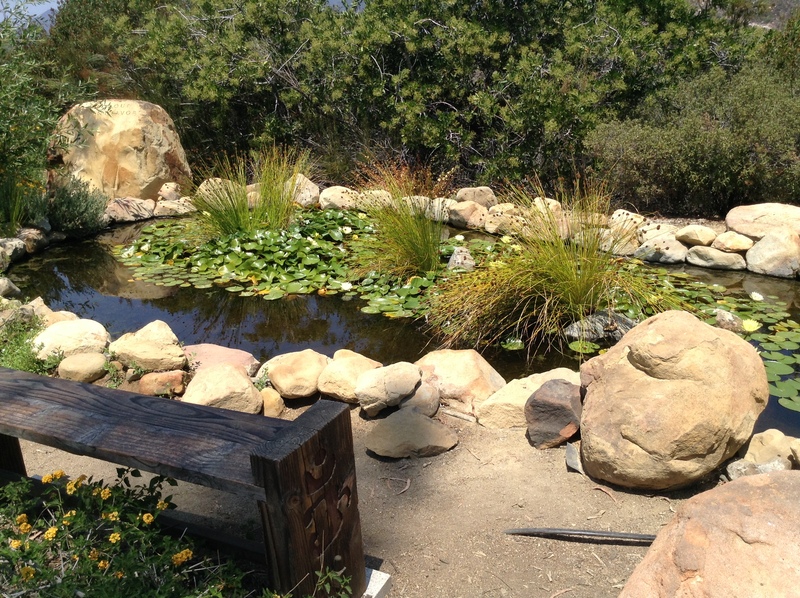 I mentioned to my spiritual director recently that one experience I’m having in dealing with the loss of my partner is I don’t know quite where I belong now. 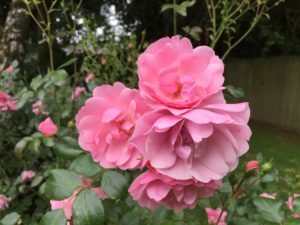 She pointed out that after many years of being a caregiver, I may be unsure who I am now that I no longer have the person I’d been caring for. So my efforts to deal with grief are about trying to find my way home. I think Mason’s guidance is worth following: just keep going. And have faith that the right paths will open to lead where I need to go. 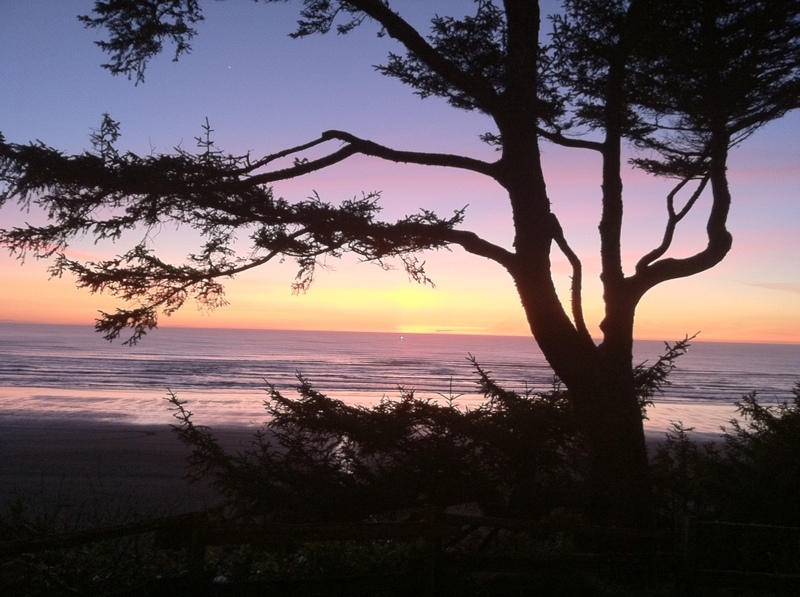 During my long stay in Florida, while my partner of 26 years was very ill and declining more and more each difficult day, I had two resources with me that became my main reading material for the quiet evenings. One was Rainer Maria Rilke’s Letters to a Young Poet on my Kindle and the other was the Bible in ESV (English Standard Version). One could argue that both made for somber reading, but both provided me with needed and appreciated solace. Rilke’s Letter #8 seemed almost to have been written for my circumstances and I read it more than once. As for the Bible, I had settled on studying the book of Isaiah. Each night I would read from both books as a way to calm myself and try to get ready to sleep. To me then and also now, these texts offer the same message: you must enlarge and expand your sense of your life, your emotional and psychic selves, so that they are vast enough to encompass and absorb whatever comes your way. Even something as devastating as the death of your partner. There will be no avoiding it, no shrinking away from it, no running away. All that is left is expanding enough, enlarging your tent enough, to accommodate it and let it be part of who you are. My partner, Helene, passed away two months ago today, on July 22, 2016. I miss her more than I can say. For a couple of months I’ve been reading almost nothing but Marilynne Robinson. I really discovered her work only because she was suddenly pictured on the covers of both New York Review of Books and Writer’s Digest in the same month. I figured that much publicity must mean something! 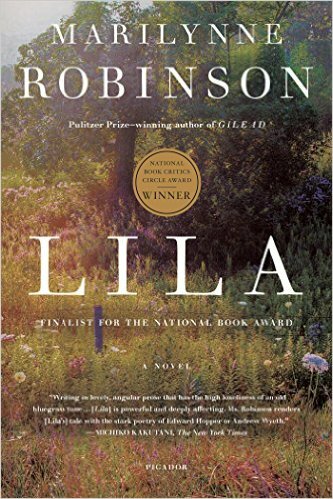 So first I picked up a copy of Lila, Robinson’s National Book Critics Circle Award Winner, published in 2014. Immediately hooked, I put myself on the waiting list at the library for Gilead, which won the Pulitizer Prize, and also Home. 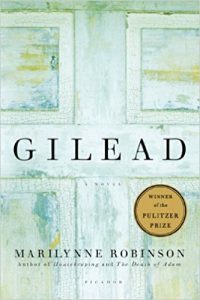 All three books circle and recircle the lives of two families, both minister’s families, in Gilead, Iowa. The books are not heavy on plot, so if action is critical to you as a reader, these are not the books for you. However, if you like excellent writing and coming to know the psychological makeup of the characters, you will love Robinson’s work. The sermon continues (it begins on page 222), but this opening thought struck me as worthy of dwelling upon in appreciation for the gifts that come to us—perhaps not “out of the blue” but rather out of the future God has ordained for us. The December issue of Christianity Today included a graphic entitled “Prayers of the People” that included 10 responses Protestants had given concerning their prayer life. The response with the highest percentage was “prayer for my own sin” – prayed for regularly by 51% of the respondents. Of course, you might have guessed that one, along with the 44% who pray for people in natural disasters. But I found some surprises in the graphic. According to CT, 46% of people who pray actually pray for their enemies. Seems high but hopeful. Then, 20% pray to win the lottery, and that’s one number I would have thought might be higher, along with 11% for a favorite team to win a game, 9% to find a good parking spot, 7% to not get caught speeding, and 5% for someone’s relationship to end. Really? I contrast this graphic with the introduction to a wonderful book entitled The Little Book of Prayers. 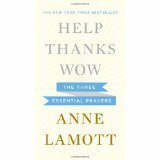 The first sentence of the introduction asks this question: “How soon after humans stood upright and turned to the sky did they begin to pray?” Editor David Schiller poses the more commonly considered reasons to pray: to give thanks, to ask for answers, to receive, to give, for ask for help. Typical names for types of prayer include praise, petition, thanksgiving, and atonement. Humility before God, regardless of the content of your prayer, seems like the surest way to build that crucial relationship. 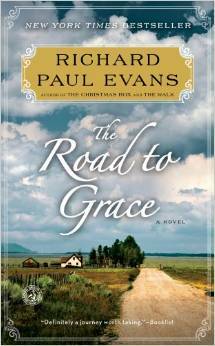 Grace is commonly defined as an undeserved gift from God. Lamott’s observation suggests that God, as the giver, always has a better idea than we do about what kind of grace we need. We may think we need clarity and resolution, but God gives us stamina and the strength to continue. We may think we need a different job than the horrid one we have now, but God gives us the patience and fortitude to manage to stay where we are a little longer and “bloom where we’re planted.” We may think we’d like a change in something fundamental about our partner, but, if we’re really fortunate, what we get is the grace to change something fundamental in ourselves. Today, look at the second winds you’ve received in your life and take a moment for gratitude that God is in charge of grace and is a whole lot more astute than we are.